If you own an Apple iPhone 3G or 3GS you were provided an “Apple USB Power Adapter” in the box. It’s a great little device mainly due to the fact that it’s so small. 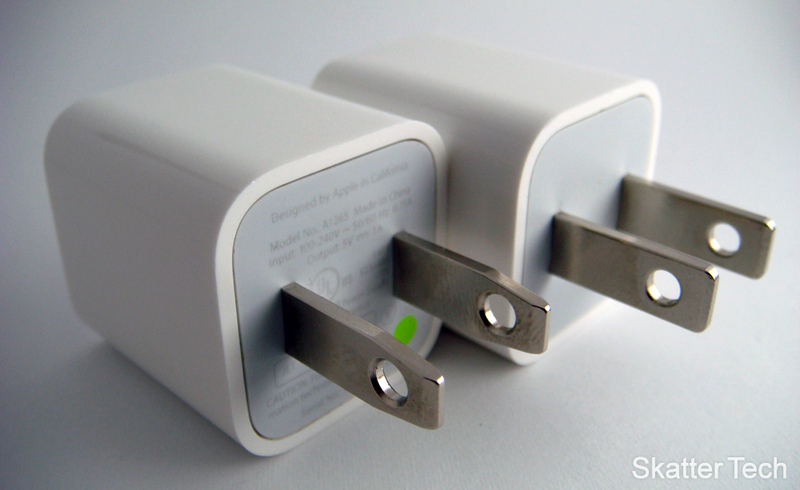 The charger doesn’t add much bulk to packing and just simply works. It isn’t just for an iPhone, but can also charge most other USB-powered devices. Here’s where my dilemma came in, I wanted a second one so I could charge my iPhone both at work and at home. After spending a minute or two on the online Apple Store to realize that they charge $29, I decided to hold back from purchasing another. If you add tax and basic shipping to the equation, it totals in at just about $36. I felt that was just a bit too expensive for just a USB charger. I soon came across the Ultra-Mini USB Charger, a third party accessory, that caught my attention. Not only did it look exactly the same in the photos, but it only cost $3 and would be shipped for free. After taking a look into the online retailer, DealExtreme, I decided to take the $3 plunge after deciding it was a fairly reliable site. Everything worked out just fine, I was charged the correct amount and even received the look-alike USB Charger within a week. I was a bit worried to attempt charging my expensive iPhone 3GS, so I tested it on some older USB devices first. After those all charged just fine, I plugged in my iPhone 3GS. It worked no differently then Apple’s $30 charger and took no longer to fully power my iPhone’s battery. What was even more stunning was the design, it was literally identical in terms of size and color. If you held them up to someone, they probably wouldn’t think they were both the same. 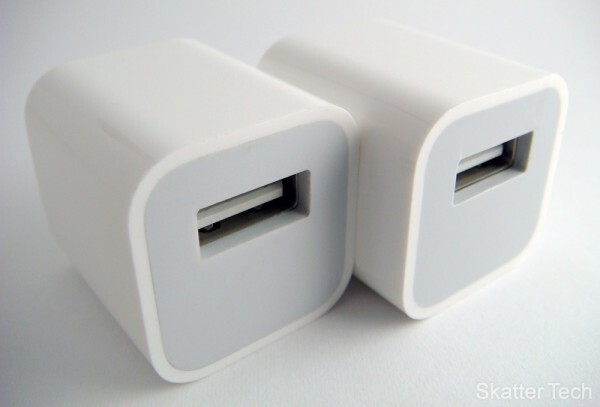 If you are looking to replace a broken Apple USB Power Adapter or just purchase an additional one, I highly recommend taking a look at the Ultra-Mini USB Charger. I’ve been using mine for a little under a month and it’s been great. Considering the bottom-line that Apple charges between $30 and $36 depending on whether you buy it online or at their retail store for the same functionality, the Ultra-Mini is great deal. Although I faced no issues, I highly doubt the Ultra-Mini will be put through as much quality testing as Apple’s Charger, so be warned if you run into a faulty one. Nonetheless, if you want to save some cash during this economic downturn, give the Ultra-Mini a shot. I actually used the USB cable that came along with my ancient 2nd generation iPod Nano as the “second cable”. It worked just fine for both syncing and charging. However if you need one, here’s another trustworthy online retailer that is offering the cable for $5 with free shipping. I haven’t used that cable, but it claims it should work! At least that’s cheaper than the $20 Apple.com sells it for before adding tax and shipping to the price. The one with the text on the back. So the one on the left.